The forthcoming budget that will be presented on Nov 10 will really be a people’s budget as it would incorporate ideas proposed by the people from all corners of the country. The Ministry of Finance has already received over 2200 proposals from the people. This also includes proposals from other sectors of the economy, trade unions;trade chambers corporate sector, companies and individual firms. Minister of Finance Ravi Karunanayake said that he had already visited several provinces to get first hand information directly from the people on their expectations and the needs to improve their livelihood. The Minister visited places such as MavilAru in Trincomalee, Polonnaruwa and Galle and several other districts. Further the minister also had discussions with Trade union representatives and others who represent various sectors of the economy such as tourism, poultry industry, vehicle importers, trade and industry in Colombo and the provinces. For the first time in the history of budget making the finance ministry has obtained the services of academics to have a systematic survey on the needs of the people. Accordingly, teams of academics from ten national universities recently handed over their findings of the surveys conducted at the Divisional Secretariat level island wide. These academics teams with the assistance of the Ministry of Finance conducted systematic surveys on the economic needs of the people covering 332 DS divisions in the country with the aegis of respective Divisional Secretaries. “The budget with the incorporation of the proposals from the people and the government policy of transforming the country into a manufacturing economy will have many surprises beneficial to all and the concessions given by way of price reduction of essential goods and services will continue unabated” declared the Finance Minister on his budget secrets. Finance Minister said that all these proposals were being studied before finalizing the budget as the government has adopted a bottom up approach to make the budget a reality. All these years the previous governments have been in the habit of adopting top bottom approach for budget making which was also considered imperative to maintain the Macro economic variables. This top bottom approach made the budget making and maintaining by the government ministries very easy as the financial allocations to line ministries were made on an incremental basis taking into consideration the previous allocation irrespective of the fact that whether the projects implemented were beneficial to the people or it had brought any return on such investment. 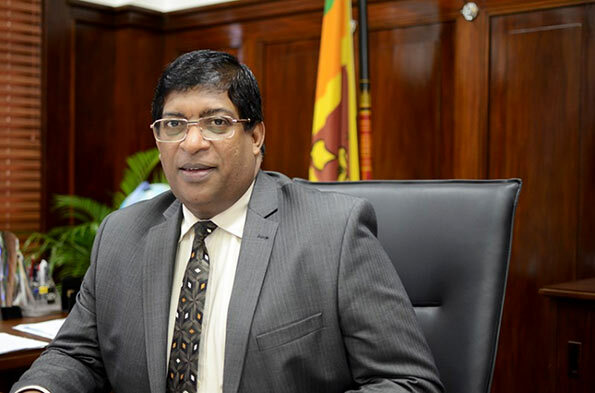 Karunanayake said that the government has decided to discontinue the system of incremental budget allocation from this year and instead all ministries have been allocated funds on Zero based budget proposals put forward by the ministries in accordance with the government’s national economic priority plans. Accordingly, all ministries had to submit their annual action plans before finalizing the allocations and they would be required to strictly adhere to and monitor implementation of the plan. The minister said that as Sri Lanka aspires to become a higher middle-income country, it would need to adjust its development model with the intention of having increased per capita income and lowering the fiscal deficit to 3.5 % of the GDP by year 2020. Accordingly, the minister said that the government instead of hanging on mere slogans, through the forthcoming budget will make available financial allocations to all line ministries based on their action plans to achieve the government’s policy of 1. Generating one million job opportunities 2. Enhancing income levels 3. Developing rural economies 4. Ensuring land ownership to rural and estate sectors, the middle class and government employees and 5.Creating a wide and a strong middle class without any restrictions. I am sure you will have many surprises which enrich the richer, my dear Ravi. Will you increase the VAT which hits the amude-wearing taxpayer below the belt? Did your mate Malik have a hand in the budget as well? You guys are bosom pals, mate, who are well on the way to overtake the Rajapaksa Billions !! Watch this space. Hope this budgets want last more than two weeks like the previous budgets. I am sure you will bring a brilliant budget with perfectly balancing numbers. Then from day 1, you reckon the Yahapalana Government will follow the allocations in the budget? First of all, why you allocated so much money to the Boss? Does this mean he can increase his entourage in foreign trips from the 73 he took to New York to 146 to the forthcoming trip to the Kremlin? Ravi, do you realise that MR2 Govt (My3pala-Ranil) is about to overtake the billions swindled by the MR1 Govt? Hon Ravi, keep the budget with you and let the worn-out amude wearing taxpayer pay the taxes and VAT so that MP’s and Ministers can import luxury Toyotas and sell the licence to the thambiya mudalalis. While the budget is being made in Pamankade the country is sinking towards Alimankade! What is the Public Sector (excluding Corporations) wage bill? Most jobs in Public Service can be undertaken by raw graduates or external service providers provided documented procedures are available to users. GOSL has employed millions in an undisciplined Public Service at enormous cost to the taxpayer with hardly and return on investment. Public Service should embrace a customer service culture and should discover how it can better serve the population. Ravi, you can cut public service officers by 75% and the quality of service will not dive. Suggest that you embark on a strategy to digitise public service data storage, convert all transactions on-line and provide regional public service access centres with physical help to the citizenry. Transforming the public sector with a view to improving customer service standards, digitisation of transactions and records and provision of corruption free access to Govt functions should be priority over the next 3 years.